One library tip: I will go to our public library online a few days before I plan on going, and place a bunch of books on hold. Also, I use the search tool to hunt down books on a particular topic. For instance, I’ll type in “train” and use the filter for children’s books. Sometimes the site will have recommendations, “if you like this book, then try this” which is a great tool as well (if available). I have to do this otherwise I would never get any books because Caleb won’t sit still for me to look long enough at the library. He’s non-stop, I tell ya. 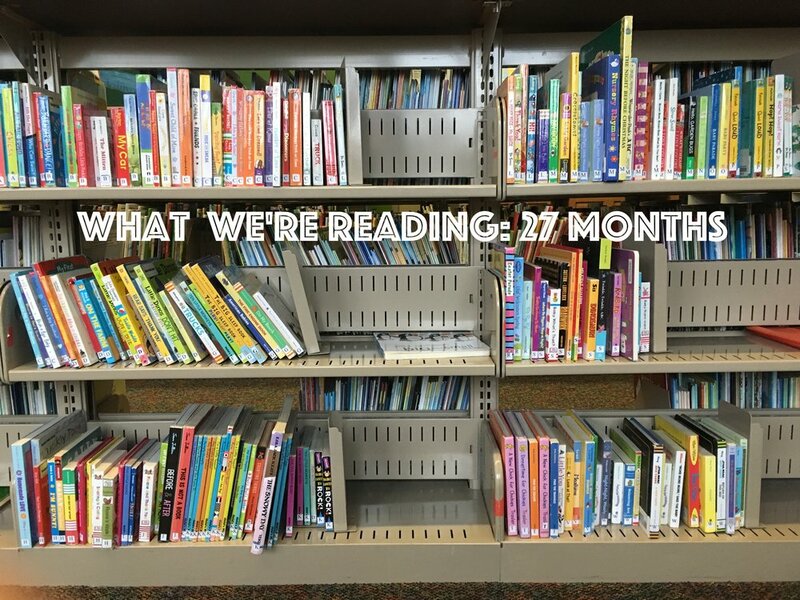 Most books we read are more boy-oriented, of course. Also, they are usually just a few sentences per page. That's all our attention span can handle right now. Lately we've been enjoying books about trains, fire engines, cats, elephants, and pigs. Fun! In fact, here are some of the books Caleb has stopped moving and sat on my lap for - multiple times. I used to read If You Give a Mouse A Cookie when I was a kid, and it warms my heart that Caleb likes it now, too. 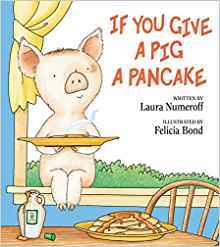 Since my childhood, the author has written even more "If You Give a..." books. The mouse is the best, of course. My second favorite is If You Give a Moose a Muffin. The others start to get a bit outrageous, but that's probably what kids like about it. If you toddler likese these, then you might try the If You Give A Mouse a Cookie television show on Amazon Prime. Caleb also enjoys these little series. Caleb has really been into fire trucks lately. Wee-o Wee-o everywhere, or "hot hot, ssshhh" (fire is hot and then he hoses the fire). So The Little Fire Truck is read every night right now. Basically, you join the firefighters that gear up and go to a fire on Lake Drive. They put out the fire and save the day! We had the Little Dump Truck a few weeks ago and it was also a read every-nighter. Again, join the dump truck and it goes around town doing it's job. I was surprised he liked these, but the train book hooked him in. Peppa Pig and her brother go to Grandma and Grandpa's house. Grandpa Pig takes them on his train and they go around, have friends join, and save a bus from the mud. Then he enjoyed the vacation books. The pig family goes on a trip and leave the pet fish at home with Grandma and Grandpa pig. They go to the beach, have a picnic where ants show up, and enjoy a nature walk. I'm going to try some of the other Peppa the Pig books soon! I wish I knew he'd liked these earlier because apparently there was a Peppa Pig show here. Fingers crossed it returns! Modes of transportation...yes, please. These are short little reads, but Caleb goes for them often. 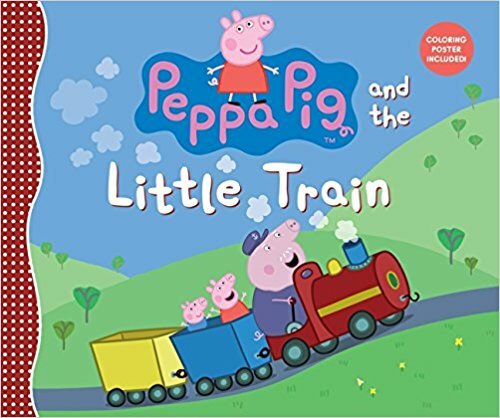 We own The Little Train book! You join Engineer Small on his little train to the city and back, or go on a fun trip into the clouds with his airplane. I like to think part of the appeal of these books is that I read them so well. I really put my all into the giggles and laughs, hee hee hee. There are quite a few books in this series, but these two have been Caleb's favorite. The Can I Play, Too? has a snake that tries to play catch with Elephant and Piggie, which they discover is hard since he has no arms. We got handed down I Will Surprise My Friend, so this one is in our permanant libary at home. It's just as it sounds, a book about how Elephant and Piggie want to suprise each other after hiding behind a rock. The book is written in word bubbles so it's cute from that perspective. Caleb does the best meow. It's so realistic. He's into cats these days, so Pete has made an apperance these days in our reading rotation. During Easter, he really liked how Pete dressed up as a bunny to help the Easter Bunny decorate and hiding all the Easter Eggs. With I Love Pete the Kitty, you hear all the things Pete loves. He loves his family, friends, and school.